The City of Philadelphia recently began a $12.1 million construction project along Lincoln Drive in Northwest Philadelphia, between Ridge Avenue and Wayne Avenue, and there is a meeting tonight in Germantown to discuss some of the changes that are taking place. We believe certain, specific changes can be made to make part of the street bicycle-friendly. milling and resurfacing, replacement of the guide rail and median barrier, and other drainage improvements. Along with these roadway improvements, a new architectural finish will be placed on the retaining wall, just north of Forbidden Drive. This project will also include various pedestrian upgrades, including new ADA curb ramps at all intersections along this section of Lincoln Drive, as well as an asphalt walking path that will extend north of Wissahickon Avenue between Lincoln Drive and Rittenhouse Street. Given Lincoln Drive’s place on the city’s high-injury network, we believe the changes should go further and create a safe space for cyclists in Mt. Airy, Germantown, and Chestnut Hill to access to the Circuit. 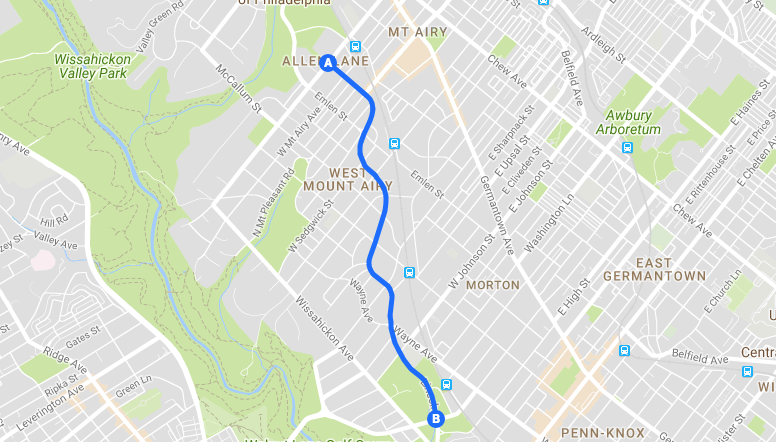 In addition to the work that’s already being done, we propose there should be a combination of a 2-way protected bike lane, and a sidepath, between Allens Lane and Wissahickon Avenue along Lincoln Drive. This would allow all residents of these Northwest neighborhoods easier access to the Wissahickon Trail for recreation and commuting. The first change this would create would be calming traffic. Anyone whose driven along Lincoln Drive knows the road is a death trap. 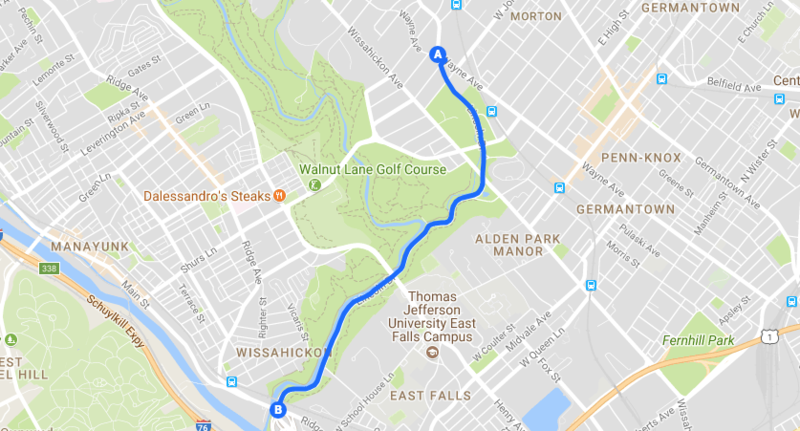 From a personal viewpoint, I commute along the Wissahickon Trail and Kelly Drive to work in Center City every day (as do many others in the Northwest.) I regularly see crashes on Lincoln Drive on my way to work in the morning, and my ride home at night. The point of any work on this deadly stretch of road should be slowing down motorists. A bike lane and sidepath (the sidepath is already planned between Rittenhouse Street and Wissahickon) is the sort of traffic calming devise that would help do just that. Getting to the trail from virtually anywhere in the Northwest is difficult for casual cyclists. For almost everyone, getting to the paved trail involves riding along either the dangerous, traffic-ridden Wissahickon Avenue, unpaved trail, or a combination of the two. 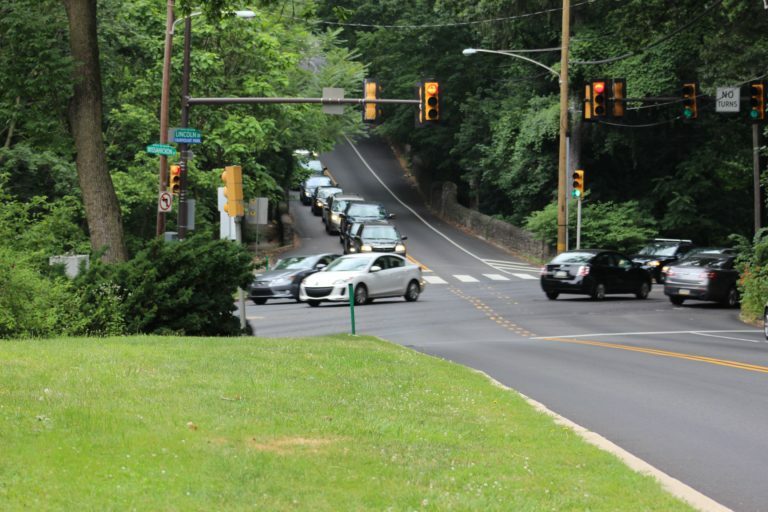 Wissahickon is not a good connector street, as it’s a largely 30-mile-per hour suburban road without a bike lane. There’s a meeting tonight at the Unitarian Society of Germantown at 6511 Lincoln Drive, 7pm, to discuss some changes coming to Lincoln Drive. The meeting is being put together by West Mt. Airy Neighbors. See more information about the project here, and information about the meeting here.